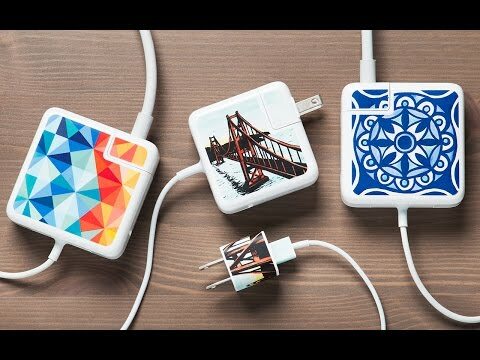 Charger stickers made just for Macs and Apple products. 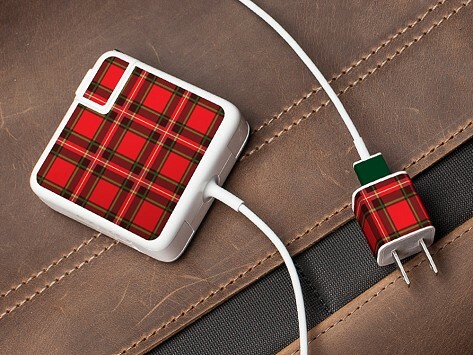 These artist-created designs help you identify your charger and stand out with sophistication. Pick a pattern that pops, or choose a design that evokes a favorite hobby or place. To confirm the model/size of your MacBook laptop, click on the “Apple” icon on the upper left corner of your laptop screen, and select “About This Mac"
Dimensions: 45W: 2.24" x 2.24"; 60W: 2.5" x 2.5"
Meo charger stickers customize and help identify your charger. The distinctive, grown-up designs—each created by an artist—make them extra special. This practical ID solution is also a sophisticated way to stand out among other Apple users—at home, at school, or in the office. Founder Karen Beber created Meo after encountering the familiar “Whose charger is it anyway?” dilemma in a house full of Mac users. She thought stickers would not only eliminate the issue, but add a level of personalization, too. Pick an image that evokes a favorite place or hobby, or a pretty print. Meo uses that blank white charger as a canvas for showcasing some personality.